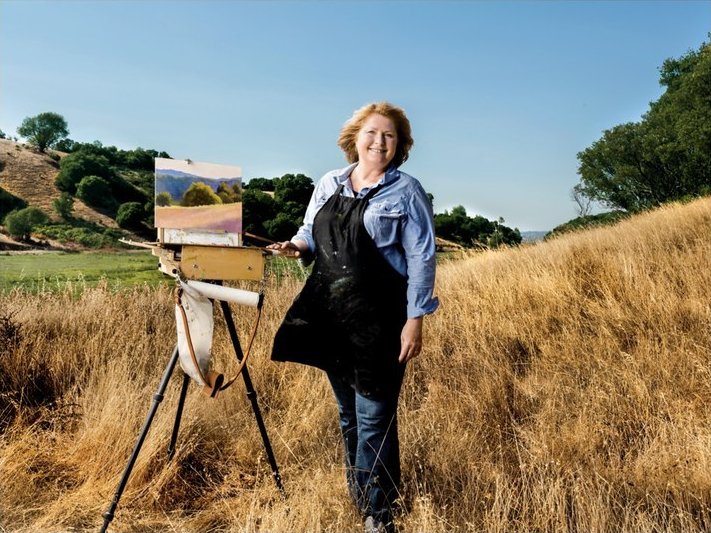 Sonoma Discoveries, Fall 2014, featured me in an article on plein air painters who seek out beautiful places in Sonoma County to capture on canvas. Yes, that's me on the hill, featured in the October 2013 issue of AARP Bulletin, in an article on successful second careers. The Marin Independent Journal featured my art studio on the front page of the Sunday edition as part of a story on people who rent out the homes they own and move someplace else. We did it, in part, so I could have a studio at home! 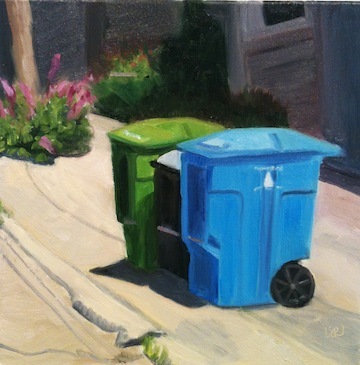 "When an artist named Linda Rosso posted a painting she did of some brightly colored trash cans on the Plein Air Painters page of Facebook, the image prompted several comments...discussing how artists see beauty everywhere. We invited painters to post any pieces they did of garbage cans, alleys, and other grimy scenes most people would consider eyesores…" Read the article here. Judson's Plein Air Journal, published by the company that makes the great Guerrilla Box outdoor easel I use, wrote: "What fun, when we opened the October issue of AARP Bulletin, to see the photo of Linda Rosso using one of our boxes outdoors in her beautiful Marin County. 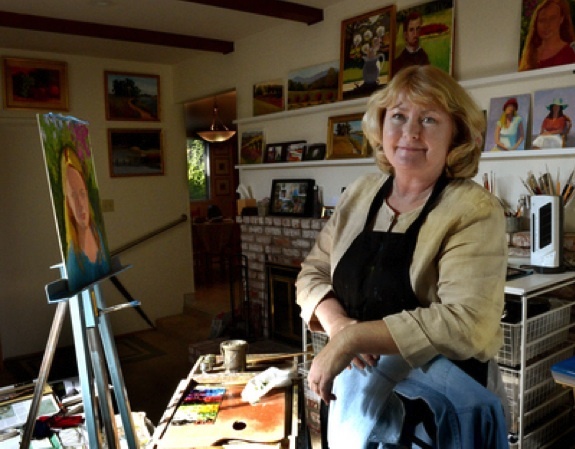 It’s an article about 'encore careers,' and it describes how Linda combines her artistic endeavors with marketing skills to help artists promote their work."